Yeah, you read that right. 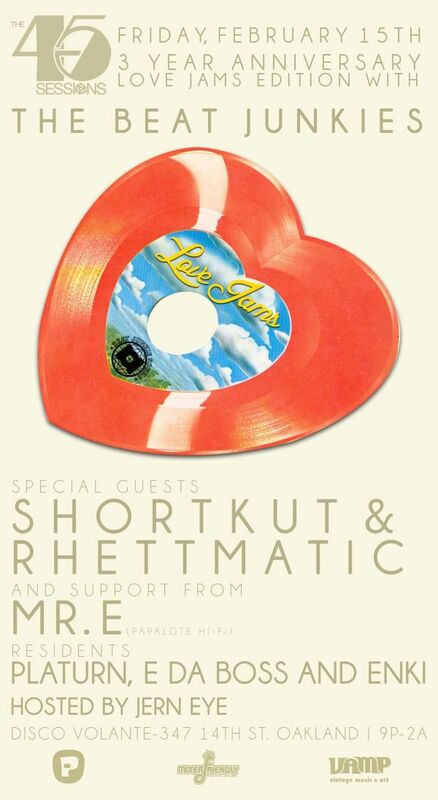 For our 3 Year Anniversary “Love Jams” Edition we have none other than the Beat Junkies own RHETTMATIC and SHORTKUT joining us. We also have the famalam MR. E supporting so you know this is gonna be one helluva night! This will be our farewell to Disco V as we move our little party to a new place in March. Join us for one last hurrah at our current home!